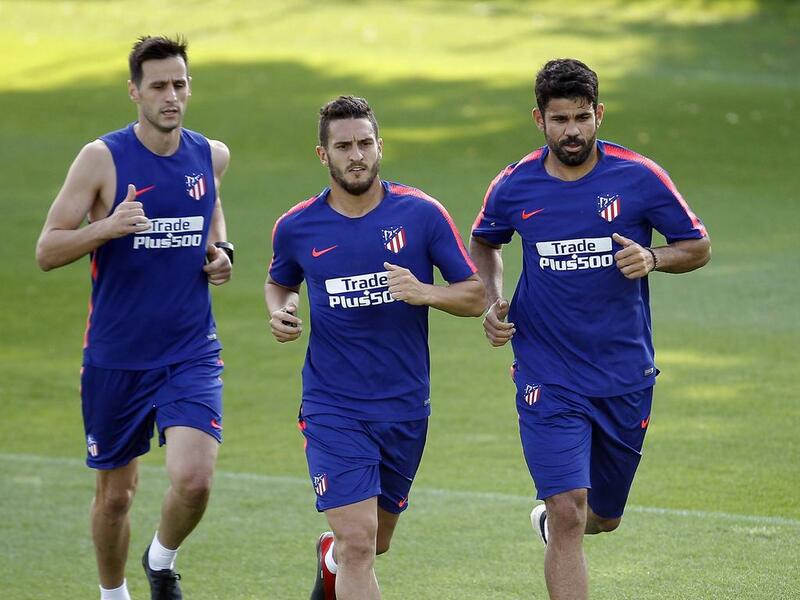 "I'm not worried," coach Diego Simeone said. "I'm calmer than ever because it's a wake-up call, a call for more focus." It also means five points stand between Atletico and Spain's two grandees, who have swept up 13 of the last 14 league titles, with Simeone's surprise triumph in 2014 the anomaly. "We have lacked a little bit of precision at the end of our plays and that's why we didn't score against Celta," Simeone said. "But what is clear to me is that this start is the best thing that can happen to us." Gareth Bale extended his sensational start to the season with a brilliant goal for Wales last week and Karim Benzema also appears a player transformed under his new coach, boasting four goals in three. The only doubt has been at the other end. If Thibaut Courtois retains his place in goal versus Bilbao, the temptation will be to conclude Lopetegui is plumping for the Belgian as his first-choice, ahead of UEFA's recently named keeper of the year, Keylor Navas. "It's clear that I have two excellent solutions," Lopetegui told Cadena SER last week. "The decision we make, it's not a problem. We have an idea in our heads that we will not make public and we will see where it takes us." Luka Modric should make his second league start of the season, alongside the same clutch of Spaniards who helped inflict a 6-0 thrashing over his Croatia on Tuesday. Ivan Rakitic may be in for similar taunting as he returns to Barcelona, who face Real Sociedad on Saturday at Anoeta. With PSV Eindhoven to come at the Camp Nou three days later, Ernesto Valverde will have been relieved to see the likes of Lionel Messi, Gerard Pique and Jordi Alba resting up over the international period.